Guys, I don’t read as many contemporary thrillers as I should. I just enjoyed Megan Crewe’s The Way We Fall, and loved Cory Doctorow’s Little Brother, but I’m somewhat hesitant to take on other books (it’s that towering TBR pile of fantasy and sci-fi, i think – i feel guilty even thinking about it). Good news: a cover caught my eye, the description seems to promise contemporary thriller with a heavy dash of mystery, and I’m all in. 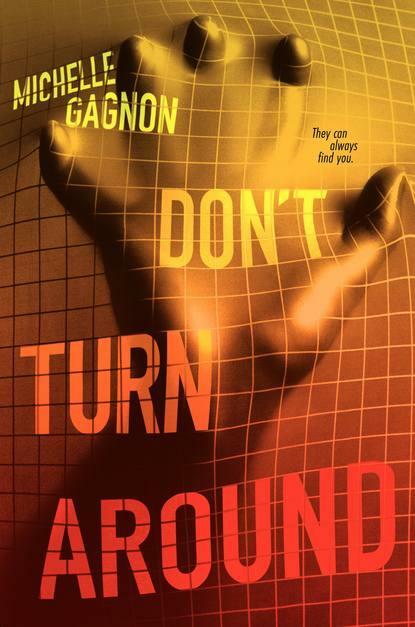 Don’t Turn Around by Michelle Gagnon will be published by HarperCollins, and releases on August 28th, 2012. Enter Peter Gregory. A rich kid and the leader of a hacker alliance, Peter needs people with Noa's talents on his team. Especially after a shady corporation threatens his life. But what Noa and Peter don't realize is that Noa holds the key to a terrible secret, and there are those who'd stop at nothing to silence her for good. The cover for this creeps me out -- which, I suppose, fits the story! The summary hardly gave anything away but after reading it, I do want to know more. Hmmm...doesn't sound like quite my thing (I probably read even fewer contemp. thrillers than you, although I've read both those you mention). So I'll wait and see what you think on this one! This book sounds awesome! Thanks for sharing! I keep seeing this one around today--the cover is so creepy! I saw this one yesterday, sounds good! Yay! Thrilled to see that DTA made your WoW list. Hope you enjoy it!